correctional institutions, their right to secure needed health care would fall on the hands of prison officials. available to inmates, and proposes adding support to physical and mental health care in prisons or correctional institutions. Failure to provide needed health care for prisoners can result to preventable tragedies, and is a clear violation of the U.S. Constitution. Medical and mental health care made available to inmates have been the subject of numerous ethical considerations and controversial debates. Given the attention that this issue has received, let us take a look at some data related to the condition of health care support in correctional facilities and prisons. admission. Majority of the prisoners received a medical examination, blood test and X-ray upon admission. They were also tested for tuberculosis (TB) and the human immunodeficiency virus (HIV). they were seen by a healthcare professional. The high rate of HIV infection in incarcerated populations is of particular concern for correctional facilities across the country. Most inmates with HIV acquired the virus before entering the facility, though testing done upon admission may be the first time they were tested and diagnosed with it. In 2010, data showed that the rate of HIV infection in correctional facilities is five times greater than the rate in the general community. The number of inmates with HIV/AIDS in state and federal prisons totalled to 20,093, with 91% being men, and HIV/AIDS accounts as the most common cause of death among prisoners in the country. Due to high-risk behaviors within the correctional system, the risk of contracting HIV is 10 to 100 times higher inside prisons compared to outside. HIV infection weakens the immune system and may lead to contagious implications which include: TB, pneumonia, skin and nail fungal infections, toxoplasmosis, shingles, etc. 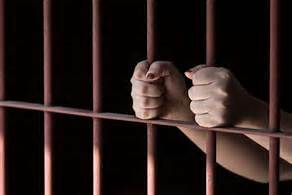 Other infectious diseases that are prevalent inside the jails and prisons setting include: viral hepatitis, influenza, Methicillin-Resistant Staphylococcus Aureus (MRSA), chicken pox, and respiratory diseases. The above findings show that while proper medical care may be more readily-available in U.S. correctional facilities, stricter preventive measures and systems may need to be implemented to avoid the spread of contagious diseases among inmates and prison workers. This entails providing means to improve personal and environmental cleanliness, hygiene, and sanitation. Adequate supply of clothing, linens, sleeping mattresses, and patient care equipment may also help minimize the risk of cross-contamination among inmates. As majority of our incarcerated fellow men will someday be released from correctional facilities and prisons, caring for their well-being behind bars will help ensure a healthier community for us in the future. Do you have a product or business you would like to share? Visit our sponsorship page to advertise on our blog.